There are 18 reviews of Patchouli Eau de Toilette. Very strong, with only two little sprays from a decant. Patchouli is here straight away - in your face, so to speak. It is dark, earthy. It is almost animalic. Almost like tobacco. There is a woodiness like mahogany or polished, old oak. I believe geranium adds these characteristics. There is another, vague floral note here. The patchouli here isn't covered or masked with any sweetness. Frankly, it stands on its own. It is the star. Me, personally, I need a little sweetness to go with my patchouli fragrances. This Molinard reminds me a lot of Patchouly Indonesiano by Farmacia SS. Annunziata. Becomes a bit woody-er as it wears. I like patchouli, but this is the dirtiest, greenest patchouli that I have ever smelled. Too much patchouli and very little else. This is a middleweight patchouli fragrance. There is a citrus aroma initially (mostly orange), followed by a patchouli dominated fragrance with green elements. The patchouli note is clean, transparent, but a trifle hefty. There's nothing smoky or edgy or animalic in here. This patchouli accord endures till the end, where one finds some amber-y elements and a hint of sweetness. The sillage is moderate at first before being quite muted (especially considering the category), and duration is around six to seven hours - based on about 10 sprays from a sample (emptied out approx. close to 1 ml of it). The best aspect of this one is good balance between the different elements, and how it distinguishes itself from patchouli EO because of the unmistakable note of citrus initially. Quite unisex IMO. It loses me after the first two hours as it becomes too sparse for my tastes, and the base is reasonably straightforward and disengaging. Worth trying, but far from the bee's knees - easy to wear and easy to forget. Relative to other popular patchouli fragrances, perhaps closest to Zegna's Javanese Patchouli (though still much different). P.S. After a brief and brisk online investigation it appears that this particular fragrance I had a sample of happens to be the one that comes in the hideous purple bottle. I don't know but I can't even stand this smell. This is the worst fragrance I have ever bought. Quite fascinated to see the reviews on basenote and bought a 100ML of this. Ended up selling it on ebay at far lesser price than I bought still happy to get rid of this. Don't buy unless you are confident to like the smell. This is not a blind buy at all. Longevity is very poor. I really like this. My GF came home from work and thought I had been burning incense. 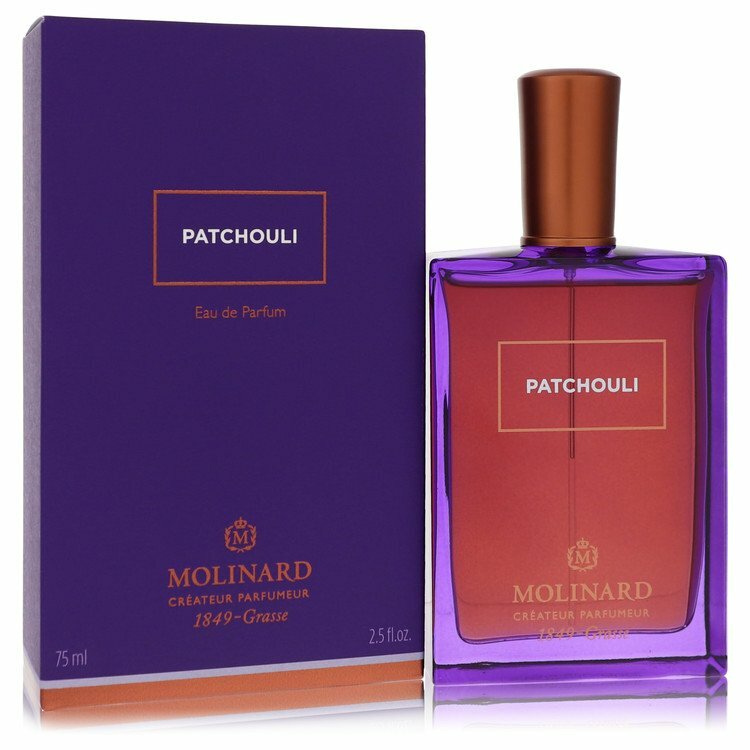 Les Senteurs PATCHOULI by Molinard Eau de Toilette EDT Spray 3.3 fl. oz. There are no member images of Patchouli Eau de Toilette yet. Why not be the first?